The Wiley Researcher Academy, a global network of researchers, presented an article from the findings of a 5 year study conducted with 168 children. These children had received varying experiences of being read to by an adult from an early age. The study looked at the relationship between home reading exposure and language, literacy and reading skills. 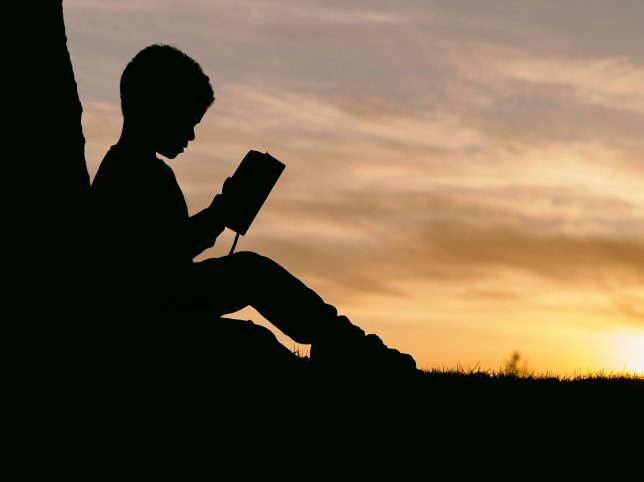 The study showed a strong correlation between early exposure to books in the development of a broad vocabulary, listening and comprehension skills. Cognitive skills are also enhanced in children who are read to frequently. 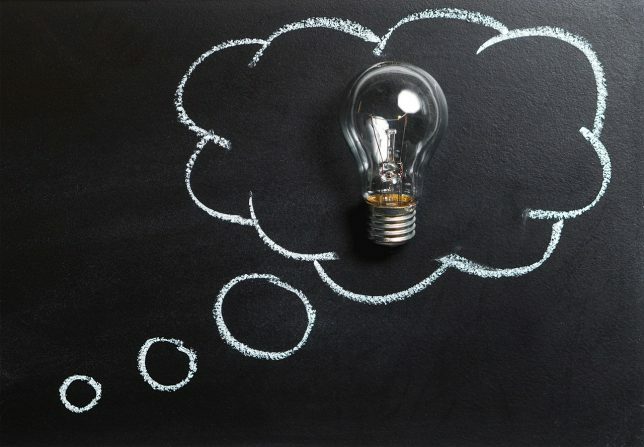 Cognitive skills are the core skills the brain requires to think, learn, remember, reason, read, pay attention and listen. The skills are vital to building and retaining knowledge necessary for life at home, in school and later at work. However, reading to your kid isn’t just going to give them an academic leg up, it’s also going to help them in other ways too. Children who are not read to, or who don’t read for pleasure when they are old enough to do so, have been shown to possess less imagination. Frequently listening to stories develops the part of the brain that turns words into images. Stories that are seen in TV shows, computer games or in movies don’t require our imagination. The images are force fed to us and don’t require our brain’s image center to do any of the work. These images are generally well remembered and difficult to change in our mind. Watching TV or playing games is fine every once in a while. However, with multimedia the images are force fed to us and don’t require our brain’s image center to do any of the work! When a story is read in a book or listened to without visual stimulus, the characters, places and action that takes place is imagined in detail. Often when the same story is later seen in a movie, or TV show everything looks wrong. The images you are seeing don’t look like those in your own richer, personal, imagined vision of the story, this can make it disappointing. Books provoke that part of our brain responsible for imagined sights, feelings, sounds and even tastes and smells. The more it is stimulated during childhood, the more active it will remain into adulthood. 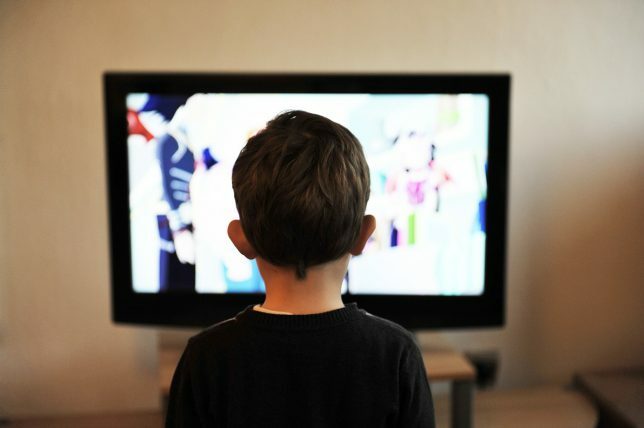 A child will often play an imaginary game based on what they have heard in a book, but far more rarely from what they have seen on a TV show, video game or in a cinema. We know that babies and very young children learn through interactions with others, via mimicry and repetitive exposure to a stimulus. Reading to very young children has been shown to impact not just their academic mind but their social and emotional mind too. Research done at the New York University School of Medicine published a study in the Journal of Pediatrics that states children who are not read to regularly from the age of 0 to 5 show clinically significant occurrence in hyperactivity, attention problems and even aggressive behavior. But why is this? Very simply it’s because by reading to them you are opening and expanding their minds. Teaching them valuable life lessons and providing them with the knowledge and tools to deal with situations that could otherwise promote negative behaviors. You might be thinking, “I talk a lot to my kid, isn’t that enough?” well, it turns out that it isn’t. We use the same vocabulary when we speak, whereas the different vocabulary used in books will teach your child a lot more words that you can simply by talking to them. Reading stories to your kids is different than just talking, because you are using a different vocabulary. Have you ever noticed how you child is better behaved when around Grandparents or teachers and take notice of their instructions and advice more readily? (Spoiler alert: This will probably never change 🙂 !). It’s the same with lessons learned from books. 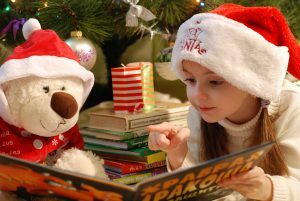 Children associate themselves with the characters in books. As the goodies are the ones who get the rewards they want to be like them. This is why reading stories is a great way to teach morals, respect for others and similar important life lessons. It is also true that books can teach them about the world and that it is often far from perfect. Children who have been read a lot of stories about helping others and understanding right from wrong, will often deal far better in difficult situations. Young children will often rely on their base instincts when faced with a difficult or unfamiliar situation. Some will turn to aggression, some to bawling, but those who have been armed with valuable knowledge may well choose a higher course of action. When another child wants a toy they have, for example, many children will squabble or fight over the toy. A child who has learned moral values will often do something else, either give the toy to the other child, put the toy down and walk away, or give it to an adult. This shows they are using higher thinking that has been learned. Simply telling your child that they should do these things when faced with such a situation is often ineffective, but if it has been told to them in a story, it is more likely to be their chosen course of action. 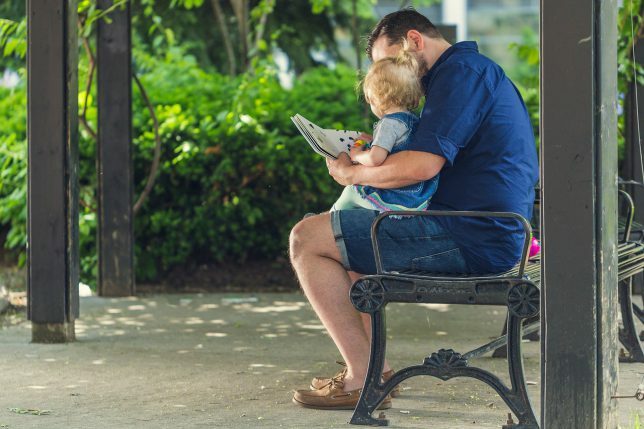 Story Time isn’t just good for the kids either, it’s also great for us Dads (and Moms, obviously)! Often it’s really hard to find quality time to spend with your little one. By reading them a story every night, it can really build bonds. It also allows you a time to relax and let your playful side surface, I’m still working on the pitch of my princess voice, but I have the pirate down pat. “Arrrrrrrrgh!” – This “role playing” aspect is really fun and I love how Benni looks at me when I do it. He’s so surprised then and often starts to giggle and laugh! Isn’t it a great feeling, when you realize that all you REALLY need is your voice and a good story to make your kid laugh? To me it means the world! “Arrrrrrrrgh!” – Reading is super fun for us Dads and Moms! For me, the secret sauce is “role playing”. So as we can see, the value of reading to young children, even before they can talk is filled with benefits. 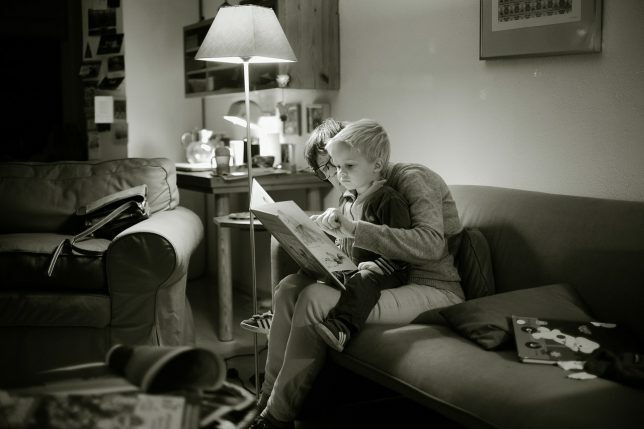 My own son Benni just loves stories and we both get a great deal from enjoying them together. 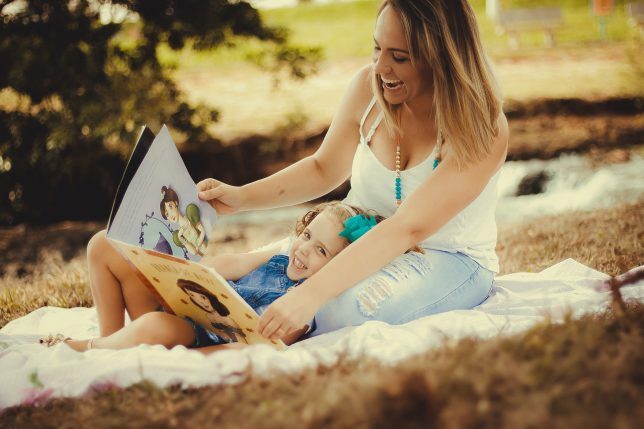 Reading stories to your kid is also a GREAT way of spending “mind, body and soul time” with your kids, a concept that I have learned in Amy McCready’s online course “Positive Parenting Solutions“, which I have reviewed here. What has also come to my attention while writing this article, is that many parents stop reading to their children once they learn to read for themselves. It seems this is a mistake and that older kids also benefit greatly and really enjoy story time continuing on into their older years. So keep reading! What is your “secret sauce” when it comes down to reading stories to your kids? When is your favorite time to do it? How do you create a good, calm atmosphere? What are your favorite stories to read? What was your (and your kid’s) favorite moment when you think about story time? If you have anything to add to this story, please leave a comment below! I’m always eager to get in touch with other parents and learn from you guys as well. Reading stories to your kids is also one of the activities I have added to my “How To Spend Quality Time With Your Child” list. If you are looking for further inspiration on the topic, please read my article right here. Have a wonderful day! And an amazing story time tonight. I sincerely hope you enjoyed the blog! So many parents are busy chasing the money tree that they are to tired or frazzled to do this oh so important activity. That few minuets you spend reading with a child produces a life time of benefits. I have seen those benefits in family members and my own kids. The ones who were read to regularly have a better imagination, were early readers,(one was reading by age three) and better command of speaking. Great article. Very timely for today’s parents. Thank you so much for coming back to my blog and again taking the time to leave a comment. I highly appreciate your feedback, especially since you are looking at my blog from that “experienced” granny-perspective, if I may so. You’ve been through all that and that makes your feedback so important to me. My son is three years old now, and I feel like I still have to learn so much 🙂 It’s always good to hear from you and get some affirmation that we are on the right track with our style of parenting! Thank you so much! Thank you for this article on the benefits of reading to young children. I agree with you that there is a link between an adult reading books to a small child and the development of a broad vocabulary, listening and comprehension skills. I agree with you that many parents stop reading to their children when the children are old enough and confident enough to read by themselves. Thank you for sharing.